When you talk about Jesus, he walks into the room. God blesses those who don’t deserve it, through those who don’t deserve it; again and again he chooses to bless. He is preparing his people for life in the Promised Land. And he is blessing them – us – to be a blessing to all people. It is impossible to encounter Kate Patterson for long without being profoundly aware of the love of Jesus. I am delighted that in this book she invites us to join with her in understanding better the amazing blessing of a relationship with God. There can be few more delightful or richer subjects than God’s blessing and this book gives it the attention it deserves. Sensible and sensitive, fresh and refreshing, thoughtful and thought-provoking; this is not just a book on blessing but of blessing. This is a book about the heart. From the heart both good and bad can flow. The wonderful thing about God is that he always keeps his promises no matter what! Those promises sustain us in the light and the dark times. Persecuted Christians know this. Now it’s our turn. This exquisitely written book is full of true truth. It’s a divine satnav pointing to a God who will never leave or forsake us. Compulsory reading for those who want to be blessed to be a blessing. We often mean well with our jaunty “bless you” but our words can sadly be empty, carrying little weight. How refreshing to find a book that delves into Aaron’s wonderful blessing and opens it up, communicating God’s lavish favour and intention to be powerfully on our side. In this wise and honest book, Kate Patterson unfolds the truth and beauty of what it means to live under God’s blessing in our everyday, chequered lives. 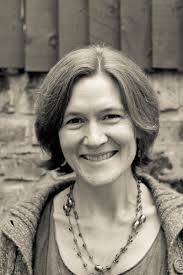 Kate has enormous insight into the riches of the Aaronic blessing, and writes with humility, candour, and compassion. This important book will encourage and refresh those who seek to know more of abundant God’s love for them. It can be difficult for us to reconcile God’s incredible promise of blessing with suffering. This book is beautifully written and addresses this concern with great sensitivity, compassion and insight. I found this book so deep, so thoughtful and so helpful! The Numbers 6 Aaronic blessing has always meant a lot to me and this book so helped me to understand and appreciate it more deeply. I so enjoyed the thoughtful exposition and the wonderful richness of the complementary scriptures. A very valuable book I will want to keep by me for ever. I first opened this lovely manuscript the morning after a terrible journey – the last train home from London had finally limped into Edinburgh at 4.45am and I into bed at 5.30am : I needed an easy day at work. But weary as I was, when I started to read, this book kindled a familiar feeling of excitement, of perhaps finding something very special, something that the Lord has given to someone to share with his people. 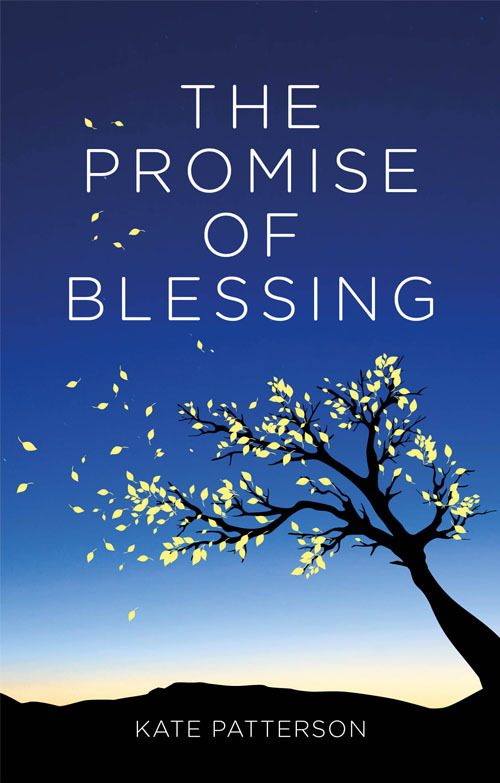 At the time I didn’t know that I was about to start on another journey, one of some personal difficulty and stress : this little book – and all I learned about the promise of the Lord’s blessing through it – would sustain me over the months ahead in hope and promise as I worked on it. This is one of the most genuinely encouraging, uplifting books that I have had the privilege of working on in a long time, and we are delighted to recommend it to you. It will bless you. Many will have heard the ‘shining’ blessing (Numbers 6:24–26) time and time again, and some, like me, have perhaps wondered what it means for us today. In this beautifully written book, Kate Patterson delves deeply and richly into this incredible blessing that was given directly from God. She writes with such compassion and wisdom and uses parts of her own story and the stories of others to demonstrate God’s intent to bless us, whatever we may be going through. In this fallen world we will suffer, and Kate addresses this issue carefully and sensitively as well as dealing with areas that regularly rob us of the peace that God wants for us, such as doubt, conflict, worry and issues around forgiveness. Kate has a gift of communicating her thoughts and insights in a way that is clear to understand and her subtle and delightful use of humour, is refreshing and engaging. I know I need reminding regularly that we have a Saviour, Jesus Christ, who will remain with us always and who can bring good out of the worst circumstances and Kate manages to write of this amazing truth in a way that helps it to sink in deeply. She has a clear and profound desire for people to know that God loves them and wants to bless them and for people to see themselves as God sees them. This shines off every page and it must be impossible to read this book without being touched by it in some way. At the end of each chapter, there are thoughts, questions and Bible verses that may be used to guide prayer and reflection and to respond to what has been read, which makes this book great for use as a devotional for individuals or small groups. ‘I don’t always find it easy to get into ‘Christian books’ as it were and I was a little cynical when a family member gave me a copy to read but I was honestly surprised that this book is different: it’s truly excellent, compassionate, warm, real and full of stories bringing so much life and energy and made me to want to keep reading it. I love how the author uses stories so well and so compellingly and how she is straight forward, honest and shows a deep understanding of our struggles in perception and deep core beliefs as followers of Jesus and in no way considers herself above those struggles but at the same time showing the truth that God has revealed to her over the years, not an easy combination, especially from someone in church leadership. God used this book to speak to me and to help bring transformation in areas that I really needed lately, particularly with forgiveness. Her explanation of the daily need for taking up our cross and choosing to live in forgiveness, peace and love with those who have hurt us was seriously helpful for me. She didn’t hold back in her statements as to how hard it is to forgive, it is in fact one of the hardest things to do. That was so helpful for me and actually brought practical change in areas which I was deeply struggling with. 5.0 out of 5 stars A life-changing read!